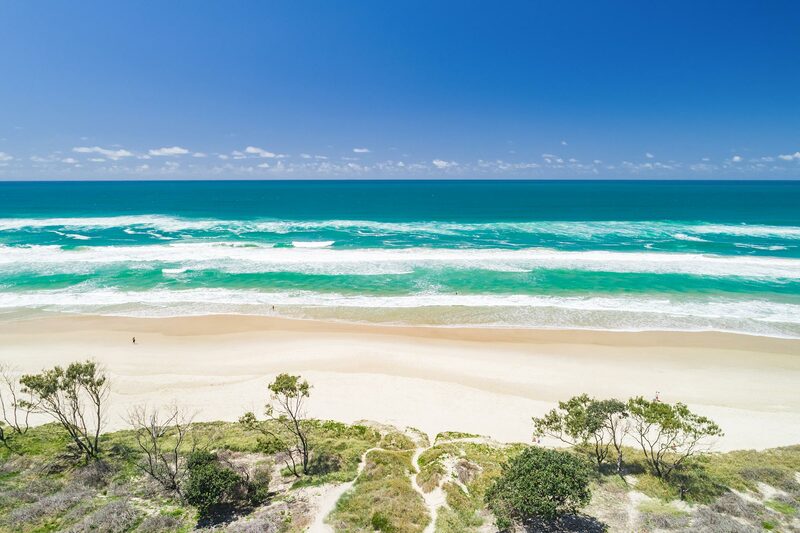 The pristine, white sands of Tallows Beach are just 200 metres from your doorstep at Sea Salt. 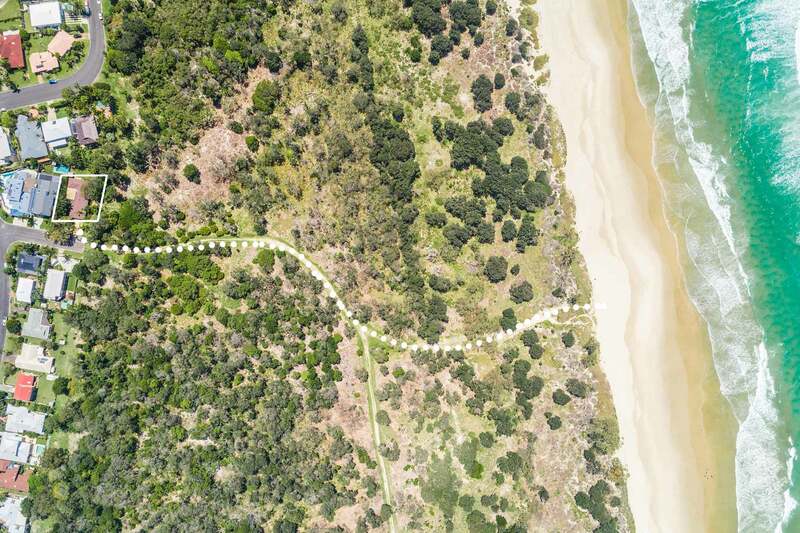 The sandy track winds through a lush, peaceful reserve, leading you right to the beach in just minutes. 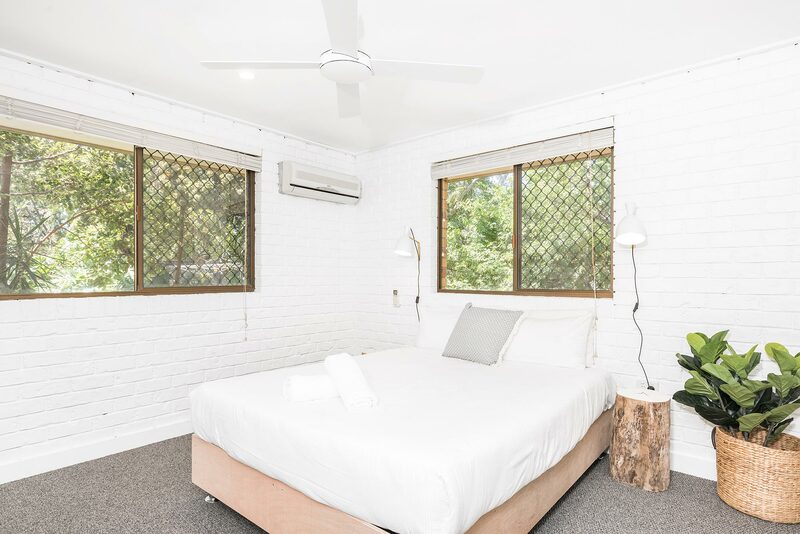 With 4 light-filled bedrooms and 2 well-appointed bathrooms, there is space for 8 adults to stay at Sea Salt and enjoy a relaxing beachside retreat. 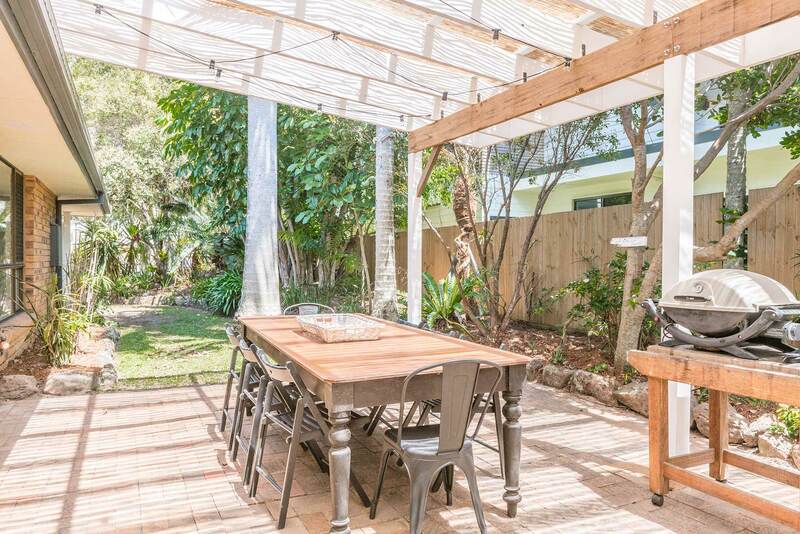 Located in a quiet, residential area, Byron Bay’s many excellent restaurants and shops are a short drive away. 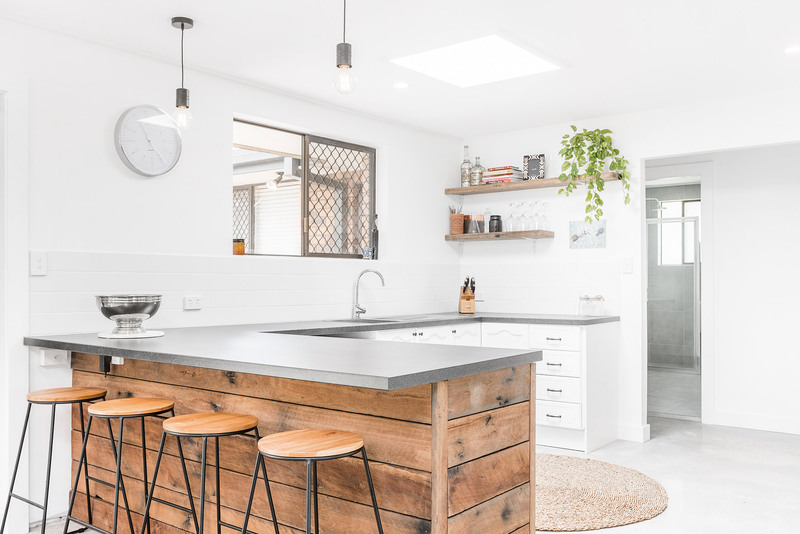 Exposed painted brick walls and polished concrete flooring tie the living, cooking, and dining spaces together. 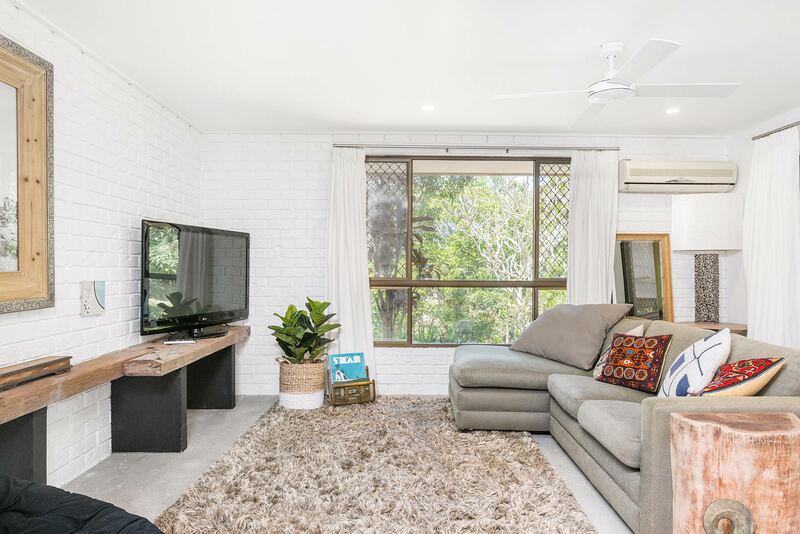 In the living space, a large, comfortable sectional sofa with a chaise seat is the perfect place to curl up with a good book or catch up on your favourite drama using the Smart TV. There is a cosy timber fireplace to keep you warm when temperatures drop. 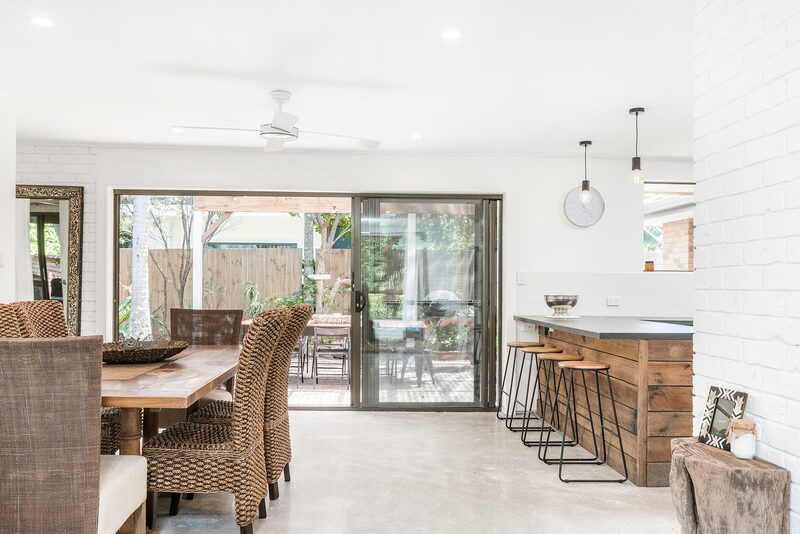 Always the heart of any home, Sea Salt’s cooking and dining space flows seamlessly into the indoor living area and connects to a covered, outdoor patio through sliding glass doors. The spacious, light-filled kitchen is well appointed with modern appliances, making cooking and cleanup a breeze. Crisp, white cupboards provide ample storage space while reclaimed wood sideboards and open shelving give the room a rustic, cottage feel. 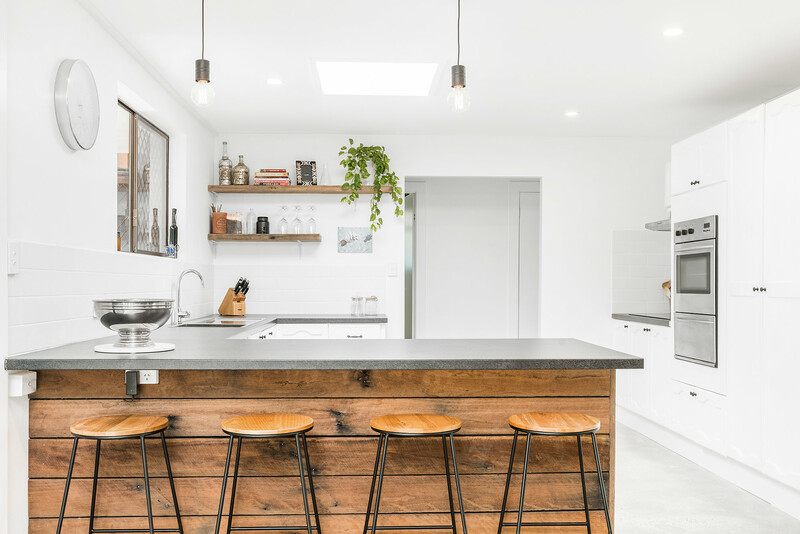 The countertop extends to create a welcoming breakfast bar for 4 and overlooks an informal dining space with a table for 6. 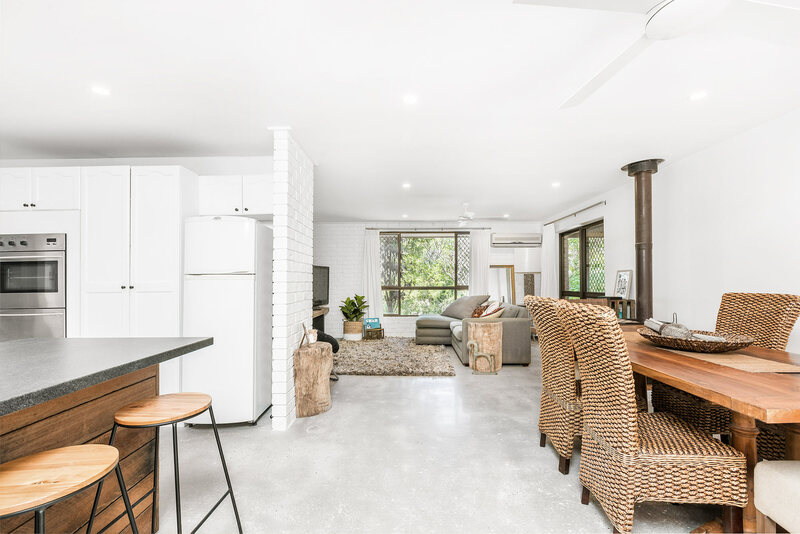 Sea Salt’s 4 bedrooms are tastefully adorned in a soothing, neutral colour palette, each with a large window and exposed painted brick walls. 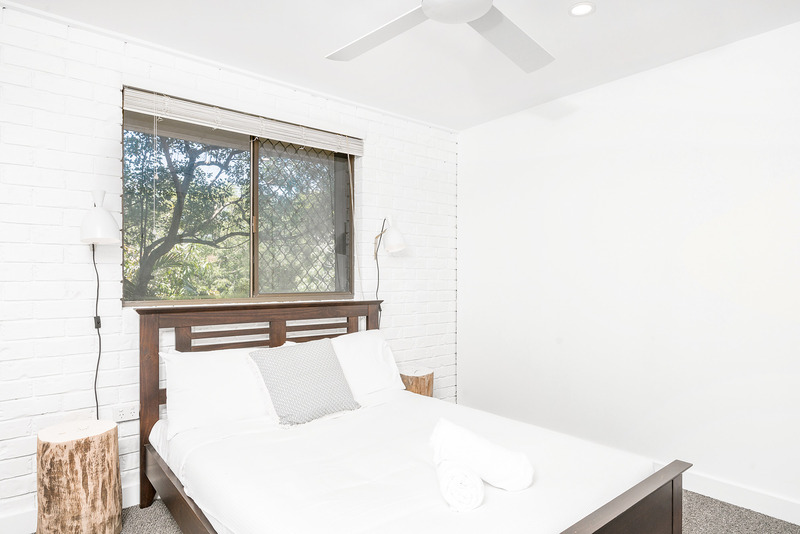 Each bedroom has a ceiling fan,ensuring you sleep soundly in any season. 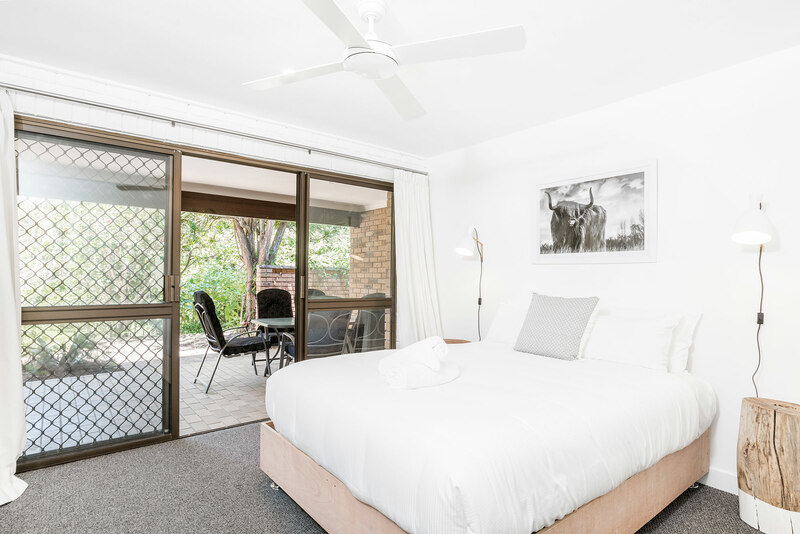 One bedroom has a queen bed with sliding glass doors leading to its own outdoor seating area with a table for 6, while the second bedroom has a queen bed with ensuite bathroom. The third and fourth bedrooms have a queen bed and a double bed, and a second, shared bathroom is down the hallway. 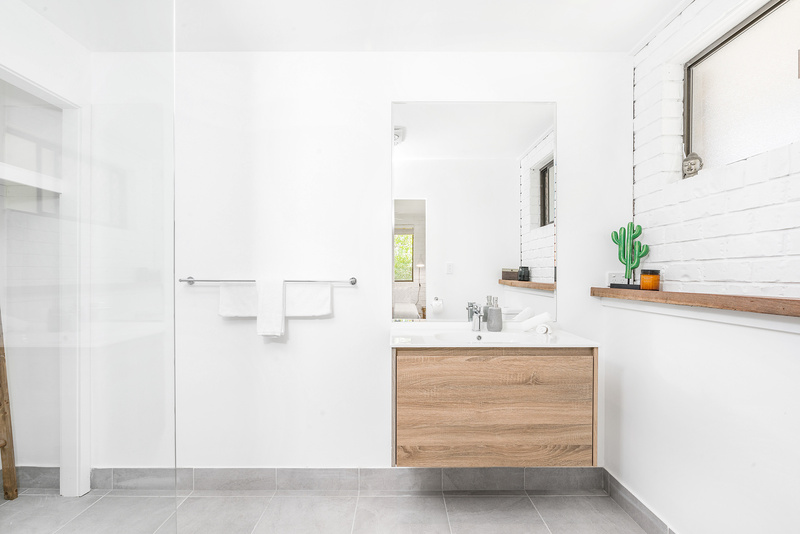 Get your day off to a great start in either of Sea Salt’s 2 bright, well-appointed bathrooms. One is an ensuite just off the second bedroom, with a spacious rain shower, more closet space, and lovely floating vanity. 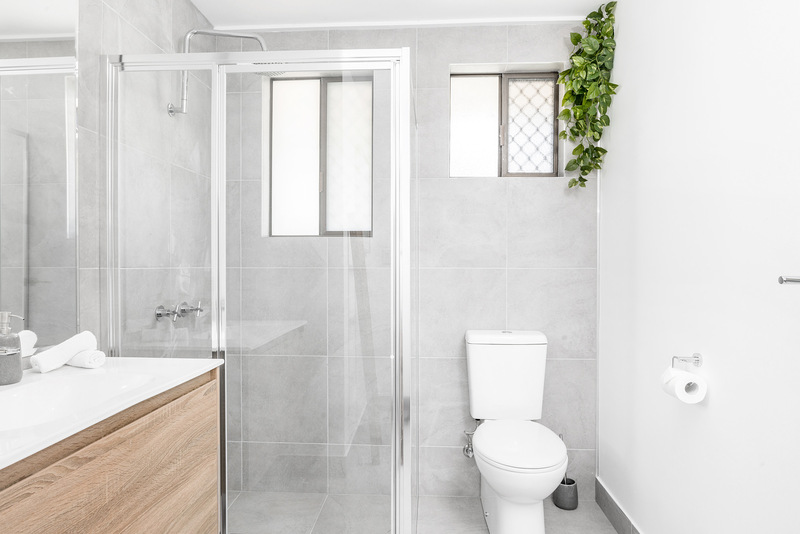 In the hallway, the shared second bathroom offers an additional rain shower and similar calming colour palette. 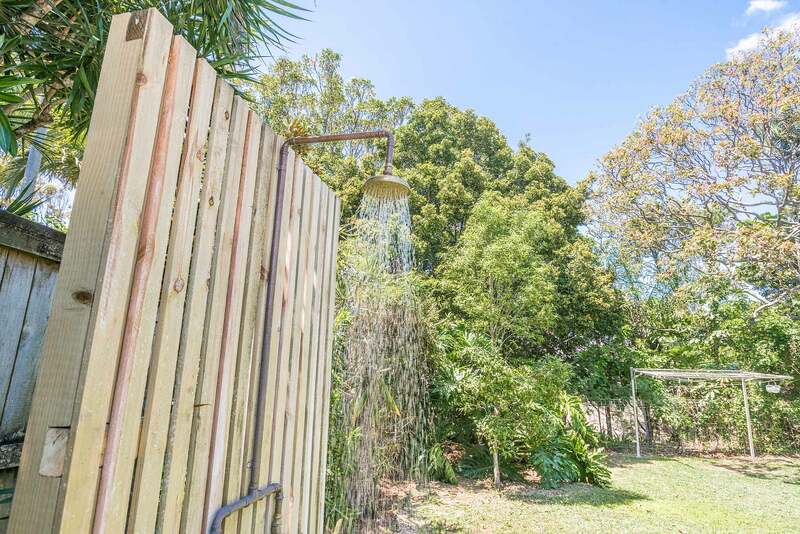 In the rear yard is an outdoor rain shower, perfect for rinsing off sand and salt water after a fun-filled day at nearby Tallows Beach. 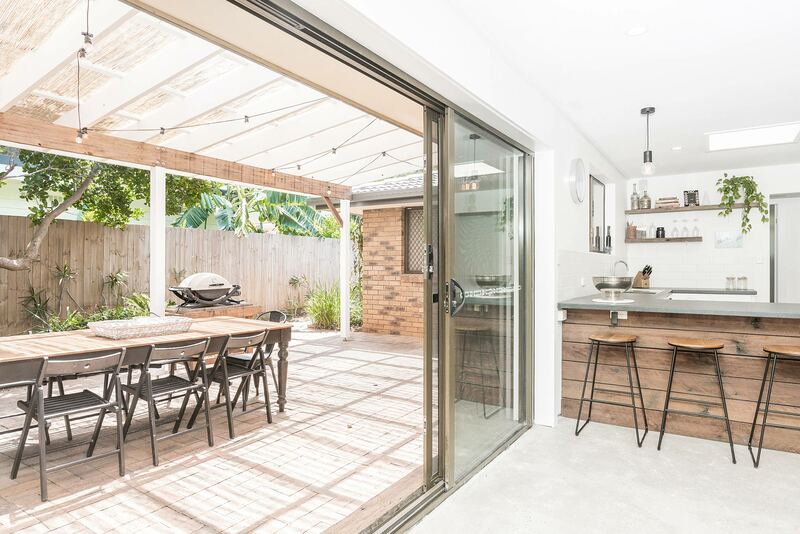 Connected to the kitchen and living space through sliding glass doors, the covered patio is a spacious area to entertain and unwind outdoors. Charming string lights and rustic wooden beams provide light and shade while the open sides welcome the fresh sea breezes in. 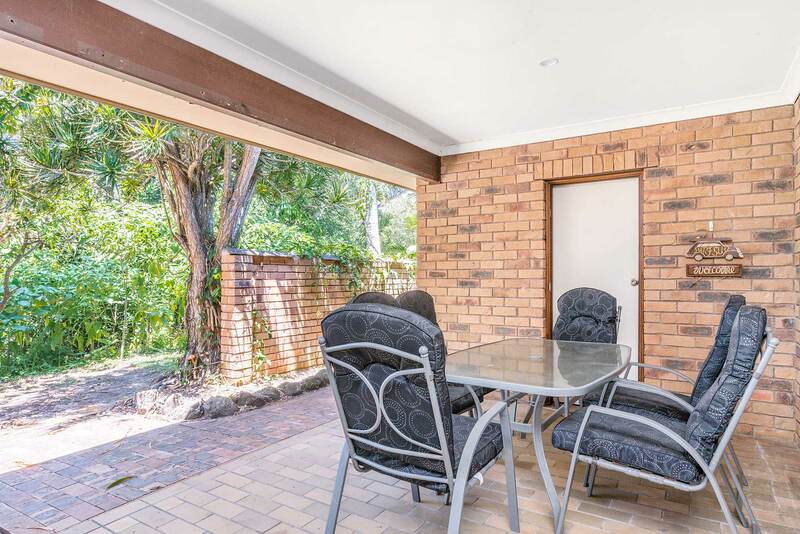 Fire up the BBQ and gather around a large, cottage style dining table for 8 to enjoy a casual evening meal together. There is parking for 1 car in the enclosed garage and 2 cars off-street in the driveway. 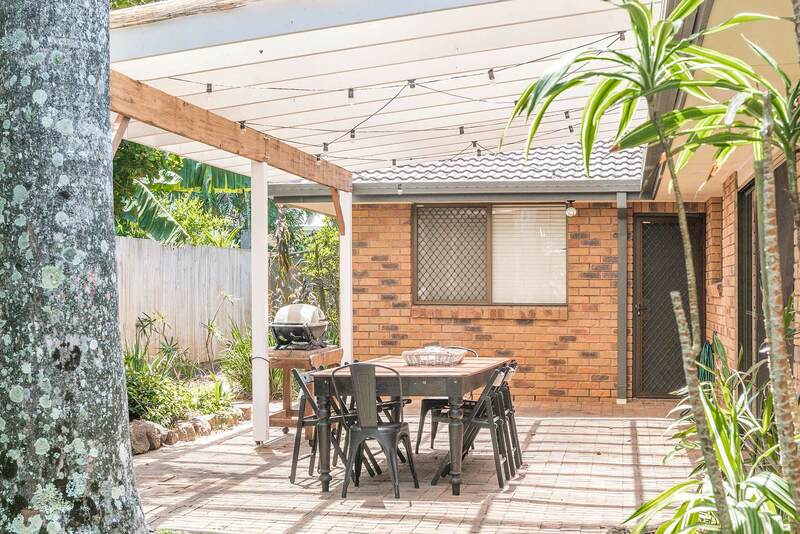 Set at the end of a quiet, residential lane, guests of Sea Salt can enjoy a friendly, beachside neighbourhood feel while being perfectly positioned to access amenities in the centre of town. 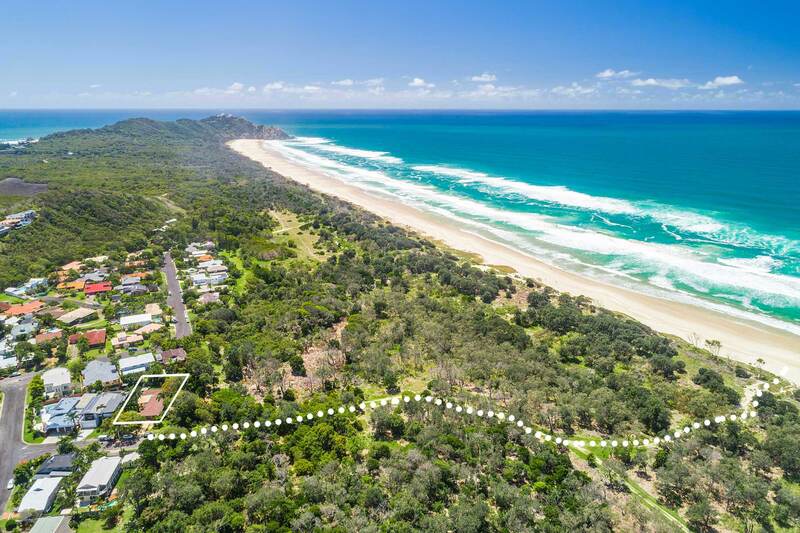 Just outside your front door is a sandy track leading straight to the beach through a peaceful nature reserve. Less than 3 minutes walking separates you from the soft, white sand and crystal blue waters of Tallows Beach! 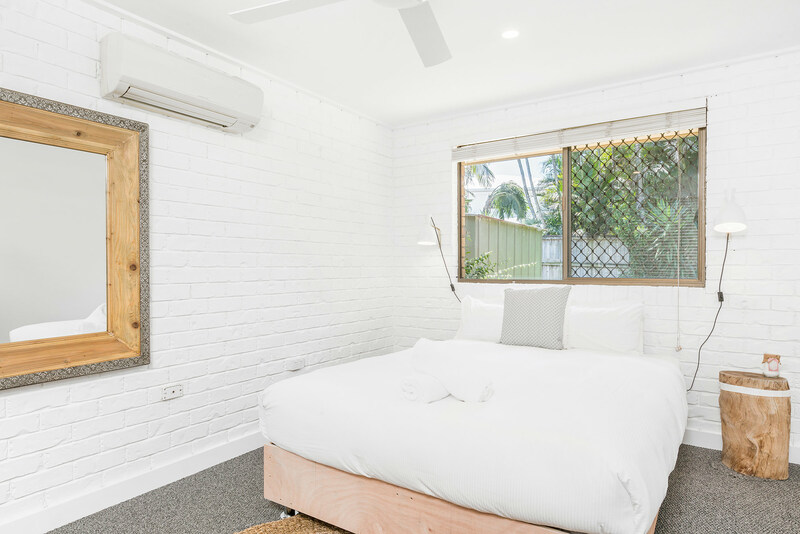 Though swimming, surfing, and sunbathing are a big part of Byron culture, don’t forget to venture into town for charming cafes, vibrant restaurants, and designer boutiques. Take a leisurely stroll or simply hop in the car to reach the centre in just a 5-minute drive. A 2 minute drive will take you to other nearby cafes and restaurants where you can feel like a local. We loved the house and really enjoyed our stay. We especially loved exploring the beautiful beaches of Byron Bay. Having the National Park right at your door step and a nice easy 5 minute walk to the gorgeous and quiet Tallows Beach was a huge plus. 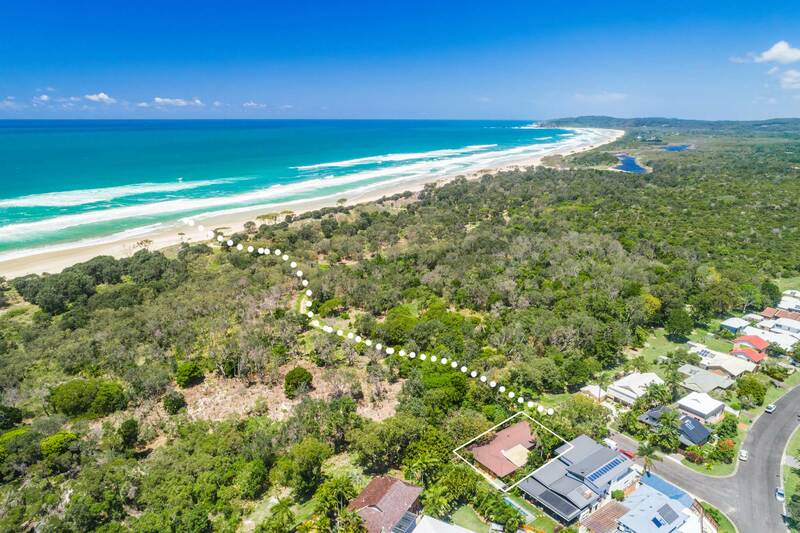 Highly recommend for a Byron Bay holiday for the family - close to town yet private. Clean. Fresh. Well appointed. Close to the beach. Home away from home. We had comfy beds, crisp sheets: loved that the indoor/outdoor spaces gave reason for relaxing. The 200 meter walk to Tallows Beach from the front door with the Wallabies was just a delight! Sea Salt - what an amazing location and great place for our group to stay at. The rhythm of the nearby waves sent me to sleep every night, and every morning only a few minutes out of bed awake and I was in the ocean at the end of the track... Just what I needed. 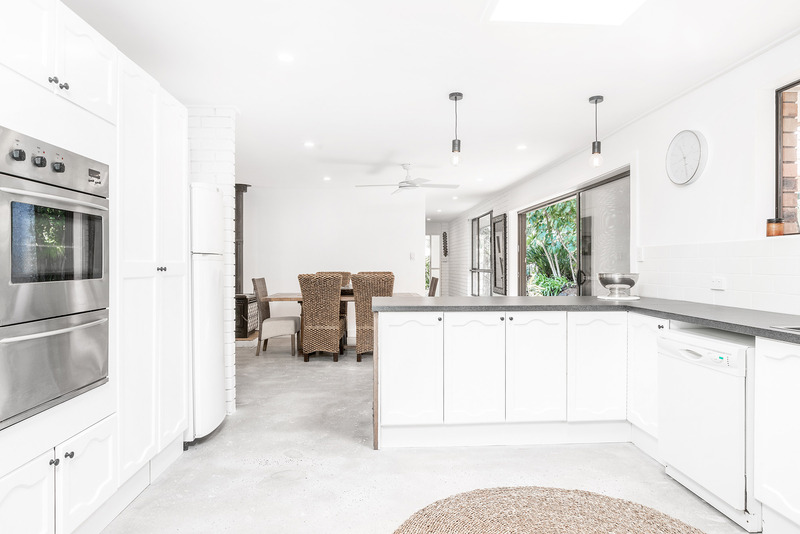 The house itself seems to have been renovated recently, very tidy, with polished concrete floors. It was very comfortable with lots of space for everyone to hang in. Undercover outdoor BBQ area got a lot of use! We enjoyed short walks into town avoiding the need to find a park, and the little coffee shop up the end of the street serves great coffee. The directions and ease of check in, cleanliness, all A+. Had a lot of fun. Thank you - Will definitely be back!